Today I’m serving up another infographic for you. The last time you saw one was on October 18th and it detailed the Timeline of the Call. In today’s post, we’re focusing on the kids and a tool I developed for Sunday School personnel and youth pastors who would like to adopt our kids as a “Prayer Project” during our time on AIM. This new page will serve as a) a general introduction to our kids for those who don’t already know them and b) will have links to 10 AIMKids Missionary Moments: 5-min long, France-related object lessons that will help kids pray not only for our kids but also for their own outreach potential. I read that quotation in a book by Steve Shadrach, The God Ask, and so, our goal in developing this infographic is to not only garner prayer support for our kids but also to give leaders tools that can help them connect their kids & youth to missions. 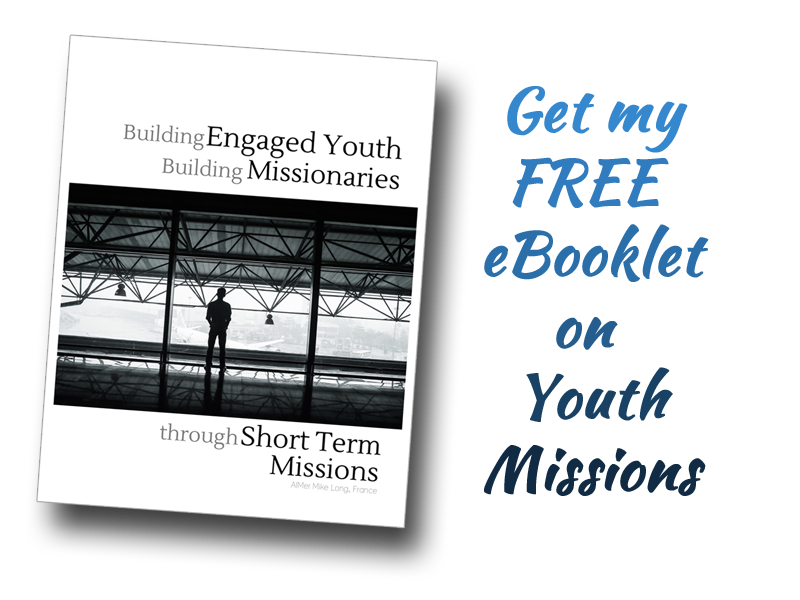 If these young ones can feel a connection to missions from their youth, then there is a greater chance that they will be open to either giving or going themselves as they get older. Feel free to download and print the graphic below. Use it in your Sunday School classes, Kids’ Prayer groups, Youth classes, etc., and connect kids to missions! « 5 Weeks & Counting!